Located in Yichun City in the western part of Jiangxi Province, Yichun University (YU for short) is a comprehensive state-owned higher education establishment. Yichun is among the first corps of national experimental ecological cities, and has acquired a series of national honours: National Designated Garden City, National Model City for Greening, China Excellent Tourist City and National Health City. YU enjoys picturesque sceneries, convenient communication, ample facilities and profound cultural traditions as well as fairly advanced teaching conditions. YU has a faculty of more than 1,000, of which over 50% have the title of professor, associate professor, PhD or MD. It has successively engaged more than 100 academicians, PhD supervisors, professors and/or PhDs as honorary or visiting professors. The full-time student body totals more than 20,000, including both graduates, undergraduates, college students and international students. There are 19 schools and departments, including but not limited to the School of Liberal Arts, the Journalism and Communications, the School of Politics and Law, the School of Economics and Management, the School of Foreign Languages, the School of Music and Dance, the School of Arts and Design, the School of Math and Computer Science (Service Outsourcing School), the School of Physics and Engineering Technology, School of Chemistry and the Biological Engineering, the School of Medical Science, the School of Cosmetology, the School of Physical Education，etc. YU has established 6 university-level research centers; its professional disciplines involve subject categories such as Liberal Arts, Economics, Management, Law, Science, Engineering, Agriculture, Medicine, Art and Education. Among over 50 undergraduate disciplines, there include 2 characteristic disciplines at national level, 8 key characteristic majors at provincial level. There is 1 post-Doctoral work station, 4 key disciplines at provincial level, 3experiment teaching model centers at provincial level, and a batch of key laboratories at provincial level. After recent years’ of construction and exploration, the university has established a subject system which gives priority to Education, Medical Science and Agriculture, with other subjects such as Liberal Arts, Science, Engineering, Law, Management in a coordinated development. YU has undertaken various research programs of different levels and disciplines, including projects such as the National ‘863′ High Technology Projects, the National Natural Science Fund Projects and the National Humanities and Social Sciences Fund Projects. The research studies on biological medicine, cosmetic medicine and bilinear hybrid rice have reached leading domestic level. The ‘ursonic acid standard sample’ has been examined and approved to become the first national standard sample in Jingbangg Province. Focusing on the idea of “educating through love” and ” facing the local primary level and cultivating high-quality applied talents”, YU pays great attention to the dynamic integration of ‘the first class’ and ‘the second class’. It has established over 100 student associations and is dedicated to cultivating advanced applied talents with a solid foundation, high quality and high innovative ability. In recent years, students have won over 600 prizes in competitions at national and provincial levels. The employment ratio of graduates has continuously been at the top level for many years among universities of similar kind in Jiangxi Province. YU has been honored as “Jiangxi Advanced Group in Graduates” Employment Work among Regular Universities and has been awarded the titles of ‘National Advanced Group in Graduates’ Employment Work among Regular Universities and National Advanced Unit in Foreign Students’ Management. Such mainstream media as Xinhua News Agency, CCTV, People’s Daily, China Education Press Agency have all reported YU’s noticeable features and achievements. The provincial party committee approved Yichun University in the 10 June 1958 formally established. In March 1962 the province’s colleges and universities adjustment of the meeting had decided to retain an area six Teachers College and the original name changed to the University Teachers College.In June 1962 Jiujiang University had withdrawn from the teachers college into the Yichun. In April 1964 the Office of the State Council of Culture and Education approved the withdrawal of Yichun Teachers College. In October 1977 the provincial party committee approved the Office of Jiangxi Normal University Yichun Branch changed to Yichun Normal School.On 25 April 1978 State Council approved the re-establishment of Yichun Teachers College. 20 June 1986, the College upgraded to the vice-formed unit.Yichun Teachers College, Yichun Academy of Medicine merged on 25 January 2000 which is approved by Ministry of National Education. At present, YU has 19 schools, 6 institutes, more than 50 undergraduate programs and 2 affiliated hospitals. In 2011, YU had been authorized to confer a master’s degree majoring in pharmacy by the Degree Committee of State Council of China, which indicates that the educational quality of YU has been raised to a higher level. 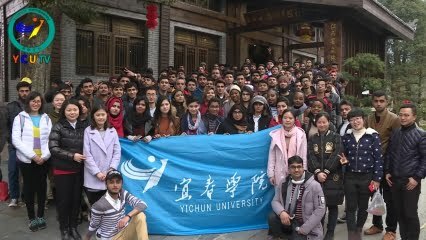 Yichun University has been enrolling international students since 2006. All the students have received systematic training and by their hard work most of them have earned Bachelor’s Degree. A large number of stu dents of the Bachelor of Medicine and Bachelor of Surgery program (MBBS) have passed the examination of Practitioner qualification certificate in their own countries. YU has abundant teaching resources and quality teaching and scientific research strength which guarantee that the students can receive the best theoretical and practical knowledge. On this beautiful campus you can also feel the great learning atmosphere from every corner of the campus. YU provides international students with excellent accommodation and facilities to ensure that they have the best studying condition. All the international students are not only qualified to apply Jiangxi Provincial Government Scholarship, but also have the opportunity to apply the special scholarship offered by Yichun University. The motto of YU is “educating through love”. And the aim of YU is dedicated to fostering the high quality, creative, applied and interdisciplinary graduates. The campus is located in the west of Jiangxi Province. Yichun city is among the first corps of national experimental ecological cities, and has acquired a series of national honours: National Designated Garden City, National Model City for Greening, China Excellent Tourist City and National Health City. YU enjoys picturesque sceneries, convenient communication, ample facilities and profound cultural traditions as well as fairly advanced teaching conditions. 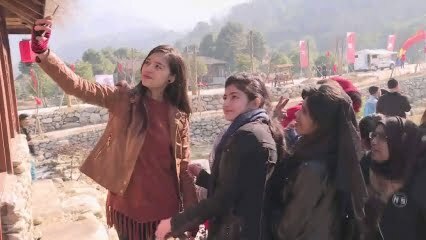 Meanwhile, students can enjoy the convenient transportation facilities with Zhe-Gan Railway (from Zhejiang to Jiangxi) and the Mingyue Mountain airport. Fee will be paid in Chines Currency, RMB. Two students will share one room in hostel.Students can do internship in China or in their home country. PG Program in Medical Subjects is running successfully in YU. IMPRESSIVE FEATURES OF YICHUN UNIVERSITY, CHINA. 1) Many Foreign batches already graduates from University in MBBS Program with more than 352 Student & More than 180 Pakistani Students ( Boys & girls ) are Studying in MBBS Program. 3) Started MBBS Project for Foreign Students in 2006. There are few hospitals are attached with Yichun University , is provincial regional medical center and has a total of construction area of 20 million square meters with 2056 beds, The hospital has a staff of 2152 peoples.